What is the CSV importer? The CSV importer will help you move your workflow out of tools such as Excel, Smartsheet, or Trello and into Asana, so you can get started right away on any project. 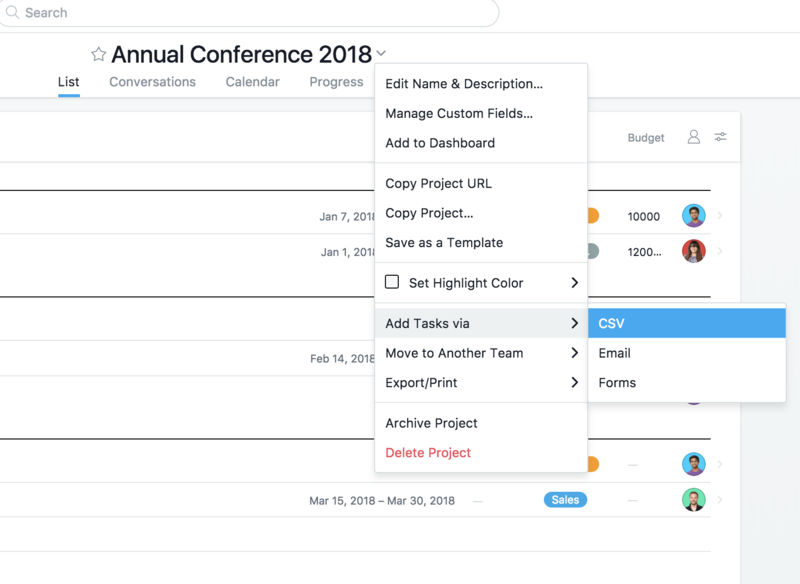 Once imported, you’ll immediately see your rows and columns as trackable tasks with assignees and due dates in an Asana project. Before you import your CSV, take the time to quickly consider and adjust the following things in your spreadsheet. Responsibility: Your column containing the name of the teammate responsible for the task will be mapped to the assignee field. This needs to be their work email address. Followers: If you’d like to automatically add teammates as a follower on a task, create a separate column. Add teammates by their work email address. Other information: In addition to task name, assignee, or due dates, additional columns can be mapped to custom fields. Other additional column information will be listed from top to bottom in the task description field in the order of your columns. Custom fields help you categorize and track priorities; you can also sort or search by field. Some good uses for custom fields are priority, project stage, team and estimated time. Log in or sign up for Asana. Create a project by clicking the + button in the top bar or select an existing project. Select the project header drop down menu next to your project‘s name, then Add Tasks via, then choose CSV. Browse for your file or drag into the importer. If your spreadsheet has a header row, click the Use first row as column names checkbox. 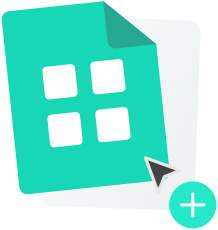 Once you have imported a spreadsheet into a project, any additional spreadsheet imports to the project will add to, not replace the information you have in the project. For more detailed instructions, read our article on using the CSV importer on the guide. For help, please visit Asana Support or ask a question on the Asana community.